Where the hell is Dr. Becker?? Something like 12 years ago, as I was approaching the ripe old age of 40, I thought to myself, I need to develop a relationship with a physician. But, given that I don't often get sick. And that I was programmed at a young age to consider the power of mind over body. I knew that of developing a "relationship" with a physician would be difficult. 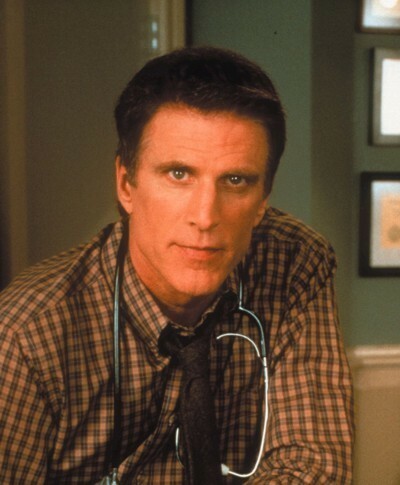 So when I found Dr. Becker - I knew he would be the perfect guy. I knew this because I enjoyed the TeeVee show Becker and it would be impossible for me to forget this doctors name! Monday it was raining like crazy when it was time for me to do my intervals. Instead of running I decided to hit the pool and do my intervals on Tuesday. That set me up for three hard run days in a row. I dehydrated myself badly during my Wednesday run, and in fact could not even complete the planned run. Did I take a break on Thursday? Nope. I stupidly did my intervals on Thursday and when I got back to they gym I was peeing a nice red bloody stream. This set up a predicable set of events. Fran demanded that I go see my doctor. I called up Dr. Becker. The pre-recorded announcement informed me that I had reached the office of Doctors Wolonski, Smith and Mayonnaise. Where the hell is Dr. Becker? I selected "zero" to talk to the receptionist, who informed me that Dr. Becker had moved to Ohio two years ago but she would be glad to have me see Dr. Mayo. So much for developing a relationship. I guess I was am a bit behind schedule on my annual physical exams as well. I told the receptionist that I would think about that. I was not interested in developing a relationship with Dr. Mayo. I could never remember his name! Instead I googled "Blood in Urine" which I learned is called Hematuria. I quickly learned that this is common in runners after hard workouts. Well there ya go! Problem solved! I called Fran back. She was not amused, pointing out to me that in 20 years of hard running, I never experienced bloody urine. Good Grief. Dr. Mayo had no great insights but took some blood and some urine. Meanwhile, I hydrated like crazy and felt pretty good on my swim friday, the saturday run and bike on Sunday!